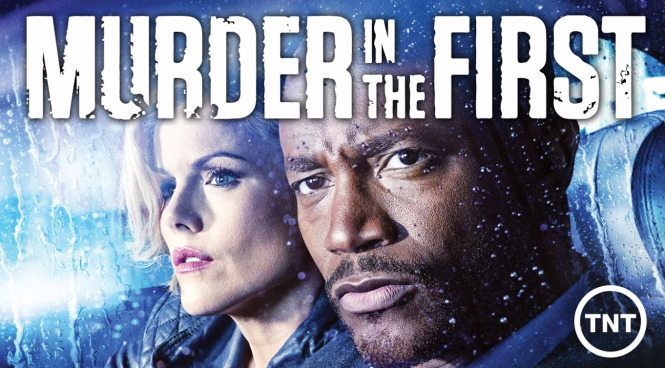 TNT’s “Murder in the First” TV Show Starring Taye Diggs is Casting Extras In The San Francisco / Bay Area! Bay Area Locals for Paid Extra work on TNT Series “Murder in the First” shooting Tues 3/24 – Fri 3/27 in SF! * Tues 3/24 – Samoan-appearing man with dreadlocks. Approximate report time 6AM or 7AM. * Tues 3/24, Wed 3/25 OR Fri 3/27– African American or Asian Men & Women 18 & over with strong emphasis on rough, tough appearing 18-early 30s men. Body and face tattoos, shaved heads, etc. are a huge plus, as well as 18 yr olds that can pass for younger teens. Will work 1 day only, based on your availability- Tues 3/24, Wed 3/25 or Fri 3/27 in SF. Must be free for morning start, approx 6AM or 7AM. *Thurs 3/26 SF- Young men & women, 18-early 20s, who look younger and can portray high school students. Must have your own reliable transportation, as shoot location can be difficult to get to. Hours/Rates: Shoots last up to 10-12 hrs per day and exact start time is unknown until the night before. Must be avail from morning to late evening without conflict . Non Union rate is $88.40/8hrs based on SF min. wage $11.05/hr plus overtime at time and ½. SAG-AFTRA members get scale. Employment: I-9 paperwork is filled out on set and extras must have the appropriate ID or you cannot be employed. U.S. Citizens must be able to present current U.S. Passport or valid Drivers License with either Social Security Card or Birth Certificate on set for employment. Non U.S. Citizens must have Permanent Resident/Green Card or Work Authorization from the Dept. of Homeland Security. * Union Status (Non Union or SAG-AFTRA. )If Union, include member#. * Attach 2 new color snapshots or more (1 full-standing view & 1 close-up) from camera phone or digital camera facing camera. If submitting for rough, tough types, try to look the part and show your tattoos. No hats or sunglasses please. Your photos will be shared with production. Pictures should be simple but clear. Beau Bonneau Casting will contact you if chosen for the shoot.